The Kundalini energy is a living energy that seems to almost have a will and a mother-like personality of its own, with a goal to gently guide us in our lives. It is a living energy within us that knows what to do, just as every plant seed has within it a source of energy that knows how to sprout without guidance from any human. And Sahaja meditation can unlock the potential within each human being, just as Mother Nature unleashes the energy within every plant seed that will blossom in beautiful and diverse ways. The inner energy, is perhaps a small slice of Mother Nature, replicated inside each of us. Nature created this powerful energy so that it is intuitively intelligent about what’s good for our own physical, mental and emotional faculties and knowing where the perfect balance lies. This mothering energy inside us is designed to take nurture us and do what’s best for us. It has complete awareness of the state of our energy centers — how strong they are, what types of imbalances may exist in each. From birth, the Kundalini energy resides at the base of our spine in our sacred bone and there it lies dormant until it is awakened. The word Kundalini comes from the word “Kundala,” which means “coil” in Sanskrit. This inner energy is believed to be present in the form of three and a half coils, not unlike other forms of energy that are stored in some kind of coil. The Kundalini energy is comprised of many strands of energy. The number of strands is believed to be 3 times 7 (3 channels times 7 energy centers), or 21 raised to the power 108 — quite a large number of strands. You can think of these strands as being similar to the threads of a rope twisted and joined together to form a stronger rope. When the Kundalini rises during awakening, one or two strands spiral up through the central energy channel — both the energy and the energy channels exist in the form of a spiral. The central energy channel corresponds, physiologically, to the parasympathetic nervous system. As it rises, the energy begins to relax the central channel and the energy centers contained within it, thus the parasympathetic nervous system dominates, helping to facilitate overall physiological relaxation and a meditative state. This energy adjusts itself during the awakening process to gently pierce through the chakras in a completely non-intrusive — and in fact — soothing fashion. If certain energy centers are constricted or blocked, this energy is patient and works to gradually open the energy center. The energy centers that are placed over the center, left and right energy channels and connected to them, function as fountains to supply energy to the right and left energy channels. The channels are involved in regulating the sympathetic and parasympathetic nervous systems. 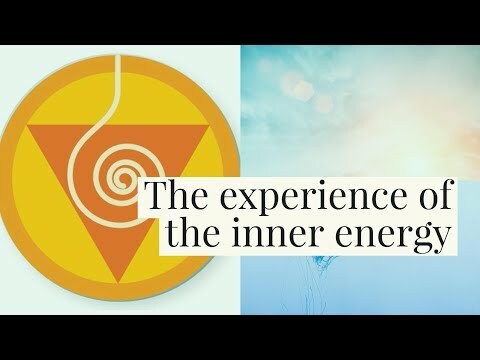 When the Kundalini pierces and passes through the 6th energy center, or Agnya chakra, the eyes start relaxing, the pupils dilate, and we become completely relaxed. Next, the energy enters the crown, or Sahasrara ,chakra. It spirals up through the limbic (emotional) area of the brain, which is surrounded by one thousand nerves. As the Kundalini energy emits vibrations that enlighten all these nerves in a gradual manner, it undergoes multiple prismatic refractions in the brain, which leads to the opening of the Sahasrara, or crown, chakra. The Kundalini energy then emerges through the fontanel bone area at the top of the head where it unites with the subtle energy of the cosmos — the all-pervading and all-powerful energy that moves the universe. This powerful cosmic energy now re-enters the brain into the limbic area, which is centrally located, and connected to all other nerve plexuses and primary brain regions (such as the rational decision-maker, the prefrontal cortex). Thus, the entire nervous system is nourished with this cosmic energy, which, in turn, distributes this energy throughout the body to the various energy centers, or chakras. What do we feel when this happens? We are filled with knowledge, love and compassion. This knowledge will feel absolute, similar to that lightning-bolt, “it suddenly struck me out of the blue” feeling we experience when we suddenly find a solution to a problem but weren’t explicitly trying to find one. We also feel an ocean of forgiveness inside us. We’re able to forgive easily and let go of whatever grudges we were harboring inside. In fact, the awakening and raising of this energy improves the general qualities attributed to each of the 7 primary energy centers (innocence and wisdom, creativity, generosity and evolution, love and compassion, community and relationships, forgiveness and integration). However, the true development and manifestation of these qualities is gradual and depends on our continued efforts to nurture this energy through the practice of meditation. In the initial stages, the energy helps undo any regression in traits that may have transpired since childhood for any number of reasons; for example, lack of nurturing from parents, traumatic experiences or other stressful, difficult situations. Over time, this subtle energy force tips the balance more and more in our favor and takes care of improving multiple key traits, as well as overall personality. For instance, the Kundalini energy cannot give us the power to hate someone or to manifest our hate in effective revenge. If we stray towards extreme negative behavior, the Kundalini energy that is active and awakened can even offer gentle forms of punishment to put us back on track. Such “punishment” won’t “hurt” or do any long-term damage; rather, it might come in the form of a mere nudge for us to return to positive thoughts and actions. For example, if we aren’t examining our thoughts and behaviors as we should be and start pursuing unethical means of acquiring personal wealth, then those endeavors may repeatedly fail, which would normally cause us disappointment. However, to someone who practices Sahaja meditation, it becomes immediately apparent that this path was not a desirable path for the motherly Kundalini energy within us, similar to our own mothers would scold us for going down the wrong path. The Kundalini energy is characterized by several qualities… purity, auspiciousness, chastity, self-respect, pure love, detachment, concern and enlightened attention, all of which fill us with joy from within. In fact, this inner energy has only one motive: to give joy to the individual. She does this by also bestowing peace, security and wisdom. Perhaps the subtle energy’s personality is best understood as being similar to that of a loving, caring mother, who is always mindful of her child (in this case, every meditation practitioner), even when the child is in not her presence. In other words, the inner energy is not only working for us during meditation; it’s working for us at all times. In fact, once your inner energy has been awakened (a one-time event), you can often feel it moving throughout your body as you go about your business each day, even when you’re not attempting to meditate. For example, you might feel it rise and penetrate the crown of your head while you’re listening to music or conversing with someone. Once you become attuned to its rhythms, it becomes a quiet, intuitive voice, guiding you down the path to enlightenment.